Hello! 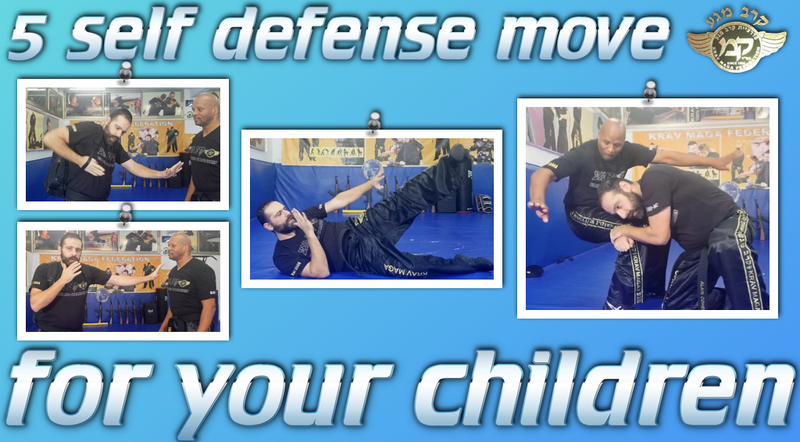 In this article I would like to show you several basic moves of self-defense for your kids. First thing to say to your children: when you go outside with your parents and/or friends and you see someone very strange, that has not be there, don’t try to do anything but go to an adult and say him what you have notified! The adult can help you and call the police. Just your looking can save lives so be aware about what happens around you! Another thing you have to know: when children have to fight most of the time they go to the ground because of their bag on the back. They usually wear a back on their back maybe heavy due to school books, so when someone pushes them they are going to fall immediately. When someone is close to you, first of all you have to put your arm straight in order to keep the distance between you and him. Take the other hand inside the bag belt going very close to your body, don’t try to take away it from the shoulder. Take your shoulder outside and repeat the move with the other hand. Your bag now is down! Put both arms between you and your opponent to keep the distance but also to be ready to fight. Pay attention and don’t stay with your bag on the back. Put your arms very strong on the ground: the goal is to have all the pain in your arms and not in your back. hook the ankle of your aggressor with a foot, pull it and at the same time push on his knee with the other foot. Don’t stand up forward because you will be too close to your opponent. Put one foot (e.g. the left one) and the opposite hand (e.g. the right one) to the ground like base and bring the other foot behind you. You will stand up with a safety distance from your opponent. Defend yourself from the kicks. Grab one leg of one opponent (normally the opponent that is kicking you). Don’t leave space between his leg and you otherwise he can kick you again. Stay very stick with your body to his leg so pull with your arms and push with your shoulder his leg: the opponent will fall down. Last thing: remember to your children when an opponent is close to them, they have to keep the hands up. Never start a street fight with the hands down! And when you put your hands up don’t assume a fighting position because your opponent will think you are ready to fight. So take your hand like to say “Please stop, stay there”: you will keep a safe distance and you will be ready also to protect your head from his attacks! if you can’t stand up grab your opponent leg and bring him down!